Click on the cover to go to a FREE 5-chapter teaser of "See Her". 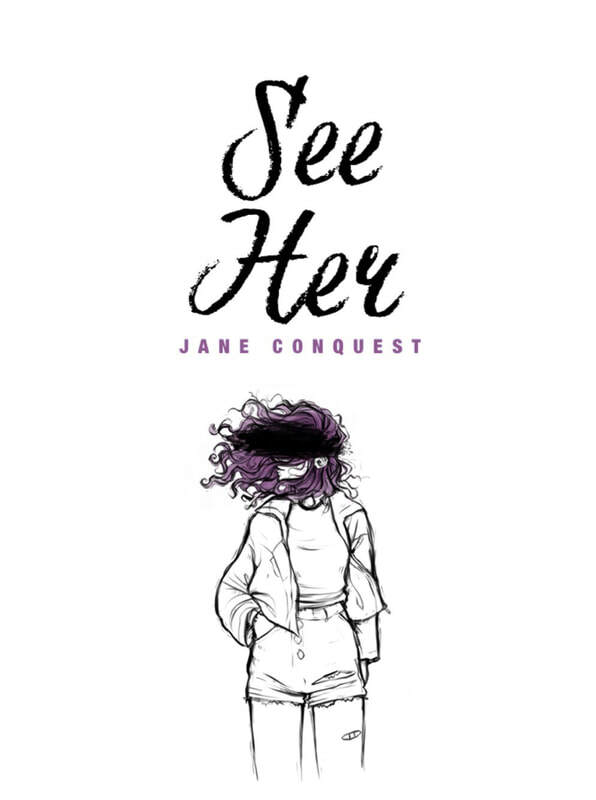 "See Her" is Jane Conquest's debut novel, and is now available in multiple formats! Click here to go to the FULL PAPERBACK version of "See Her" on Amazon. Click here to go to the FULL EBOOK version of "See Her" on Kindle. Click here (or on the cover) to go to a FREE 5-chapter teaser, also available under the "Free Completed Novels/Novellas" page of this website. In which a boy meets the purple-haired girl of his dreams, but soon finds their love to be anything but dreamy.